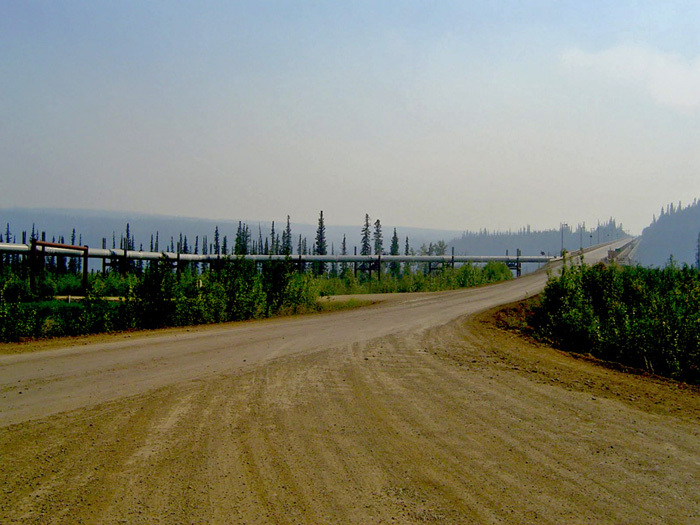 Oil companies poked around Alaska for decades looking for oil. Most people agreed that sooner or later someone would find the mother lode. 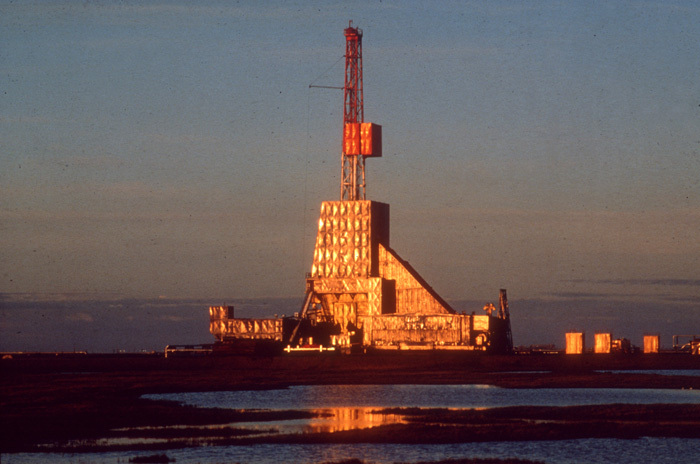 In 1968, Atlantic Richfield geologists hit oil at Prudhoe Bay on the Arctic Coast. It was the strike that changed everything. That discovery sparked the biggest rush to hit Alaska since the Klondike. It looked like the field could produce as much as 10 billion barrels of oil. It was the biggest oil bonanza in the history of the state and the country. Alaska owned the land. So in 1969, it held an oil lease auction. Drilling rights went to the highest bidders. This sale alone earned the state over $900 million. Once the state sold the oil rights, it had to figure out how to move the oil to market. 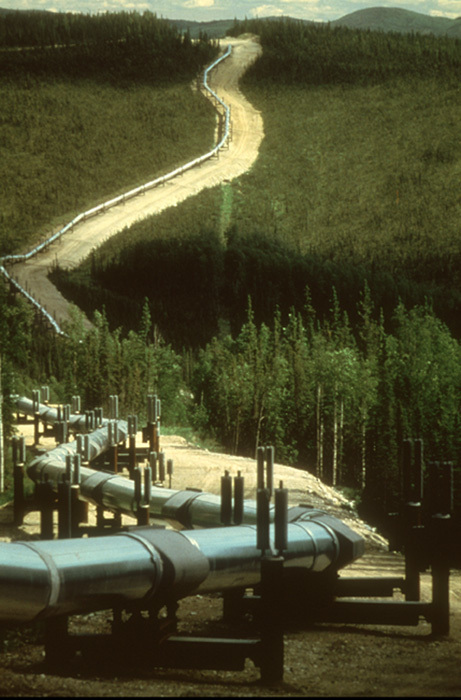 The answer, leaders decided, was an overland pipeline. 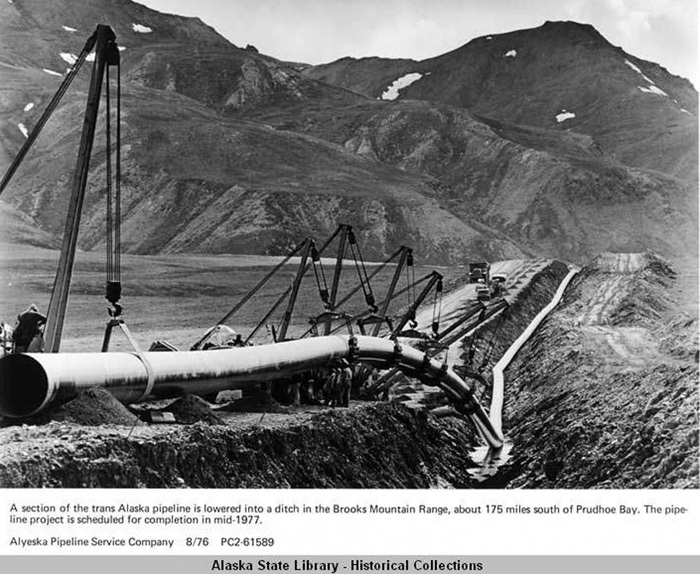 A group of oil companies joined together under the name Alyeska Pipeline Company to complete the project. 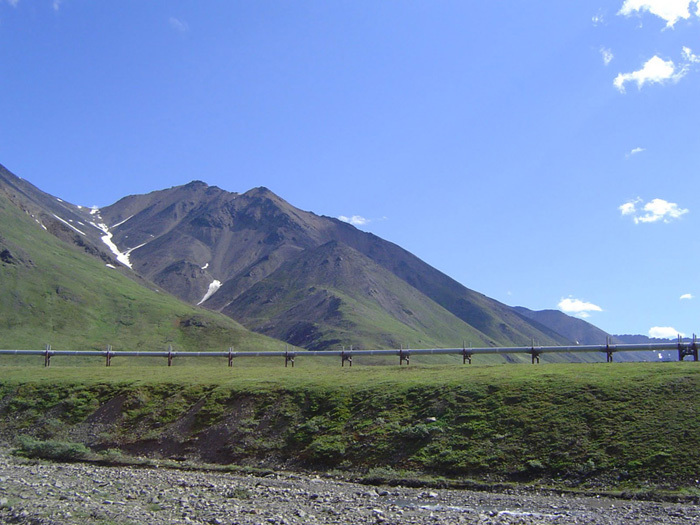 The Alyeska project became the most expensive private undertaking in U.S. history. It involved building an 800-mile pipeline the length of the state. It would run from Prudhoe Bay through largely untouched wilderness to the ice-free port of Valdez on Prince William Sound. The engineering problems were staggering. The line had to climb two mountain ranges and cross 350 rivers and streams. And everyone wanted it done tomorrow. The oil companies were eager to begin in 1969. But environmental concerns and Native land claims had to be addressed before work could start. 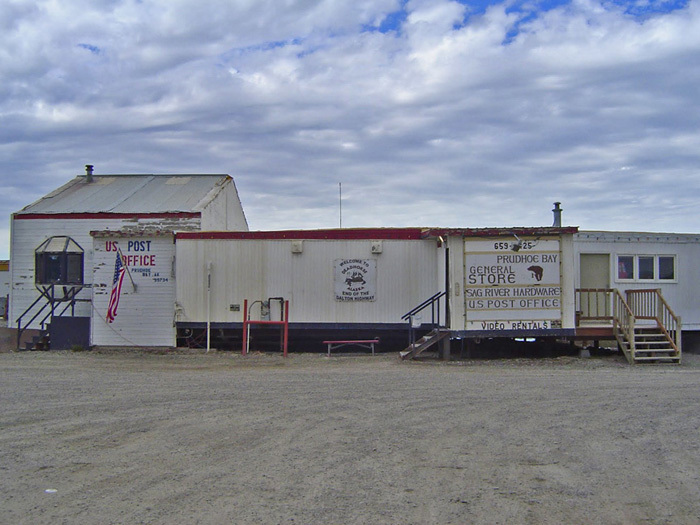 The Alaska Native Claims Settlement Act passed in 1971, solving the land claims issues. Then a turning point came in 1972. Arab oil producers stopped shipping oil to the United States. They hoped that this would damage American support for Israel. 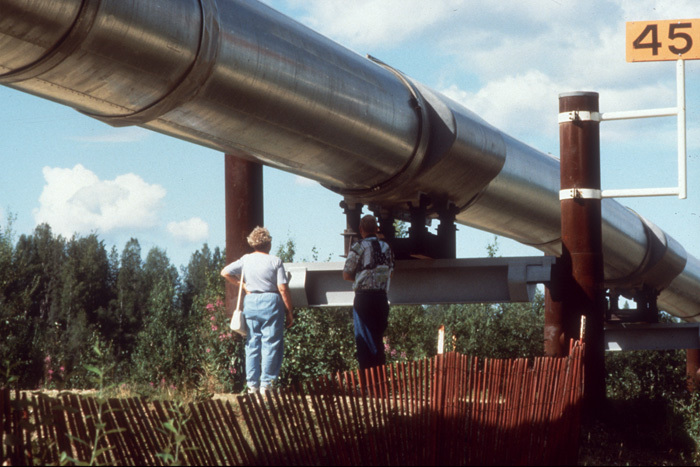 Faced with shrinking supplies and rising gas prices, the public pushed for Alaskan oil. With the public support, Congress approved the project. Construction began in 1974. 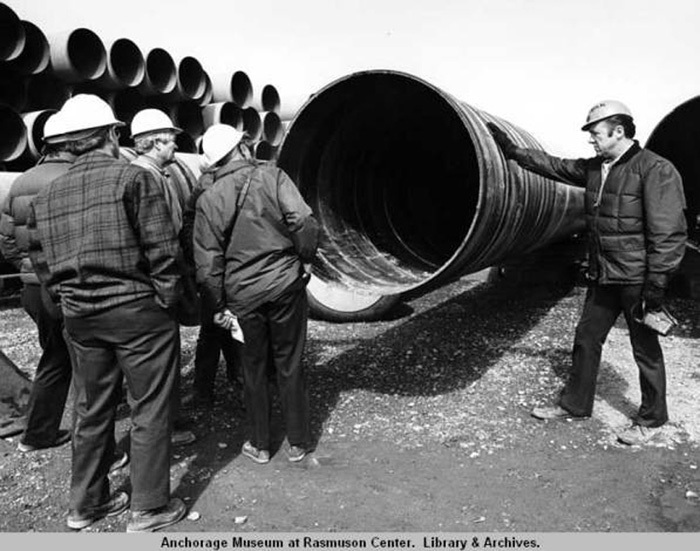 The result was an oil boom on an Alaskan scale. Like the stampeders of the 1890s, workers streamed into Fairbanks, the project headquarters. These workers earned an average of $1,200 a week. Those are high wages even 35 years later. Today that would be like earning $5,220 per week. When they started the project, they thought it would cost about $900 million. By late 1976, their estimate had ballooned to $7.7 billion. The price of materials had skyrocketed. The push to get it done quickly added to the shipping cost. At the time it seemed more important to get it done than pinch pennies. If they built the pipeline today under those same conditions, the cost would be closer to $28 billion! 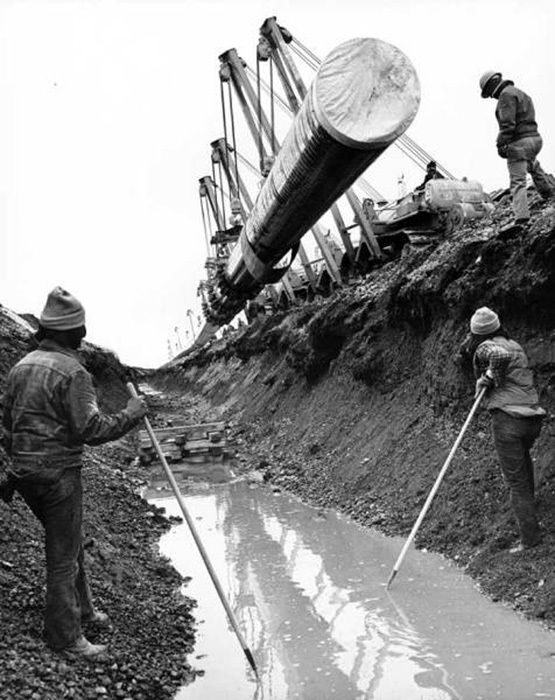 The first drop of Prudhoe crude finally flowed south on June 20, 1977. At first, the flow was 300,000 barrels per day. Later, at peak capacity, the daily rate rose to 2 million barrels. In late 2009, the flow had dropped to about 640,000 barrels per day. People cheered the completion. America had cut its need to import oil. But by the time the pipeline was complete, the oil crisis was over. World oil prices had fallen. The arrival of Alaskan oil created an oversupply on America's West Coast that made the price drop more. When the oil companies planned the project, they predicted the wellhead price would be $7.50 per barrel. The actual price in April 1978 was $4.39. When the oil companies leased the land from the state, they agreed to pay the state a portion of the money they got when they sold the oil. These royalty payments to the state were huge. Even though the price of oil wasn't as high as they planned, the oil dollars poured into the state. The high point came in 1981. Oil sales that year earned royalties worth more than $10,000 for every state resident. The boom fueled a huge increase in state spending. It also made possible the creation of a state-managed, public trust fund in 1976 called the Alaska Permanent Fund. In 1982 the fund paid the first annual dividend to residents. Anyone who had lived in the state at least six months was eligible. That first dividend was $1,000. The highest dividend ever, $2,069, was paid in 2008. The lowest dividend was $331.29 in 1984. Alaska is one of the wealthiest states in the country thanks to oil. The dividends from oil go far beyond an annual check to people who live here. But there have been risks. 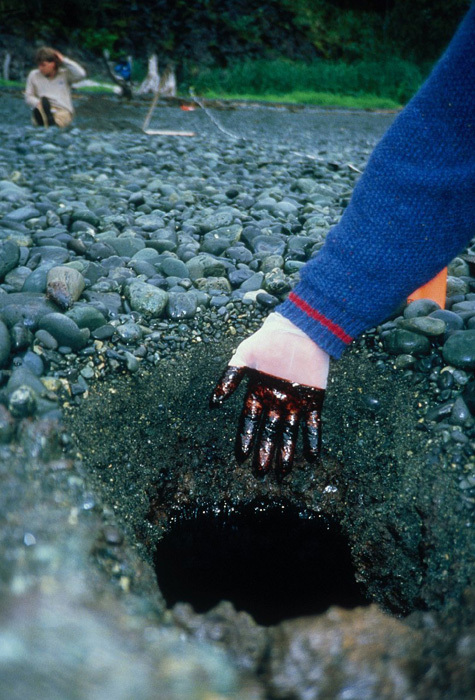 The Exxon Valdez oil spill in 1989 is now the second largest oil spill to occur in the nation. It killed thousands of seabirds, sea mammals, and fish. Oil still lingers beneath the surface rocks of some beaches in Prince William Sound. As the pipeline aged it has become weaker and has spilled oil on the tundra that has been costly to clean up. The flow of oil at Prudhoe Bay is dropping. Other nearby fields and rising oil prices have helped keep funds flowing to the state. Are there more oil fields to develop? Many think that the best chance for finding a big field is along the coast to the east of Prudhoe Bay in the Arctic National Wildlife Refuge. Others say the amount of oil there is not worth disturbing the untouched land and risking the wildlife there. And others say it is time to look to energy alternatives and reduce the nation's need for more oil. Alaska has important decisions to make about its future. The Alaska Almanac, 32nd edition, Alaska Northwest Books, 2008.